Arizona Governor Doug Ducey tweets entire leadership team to be replaced. 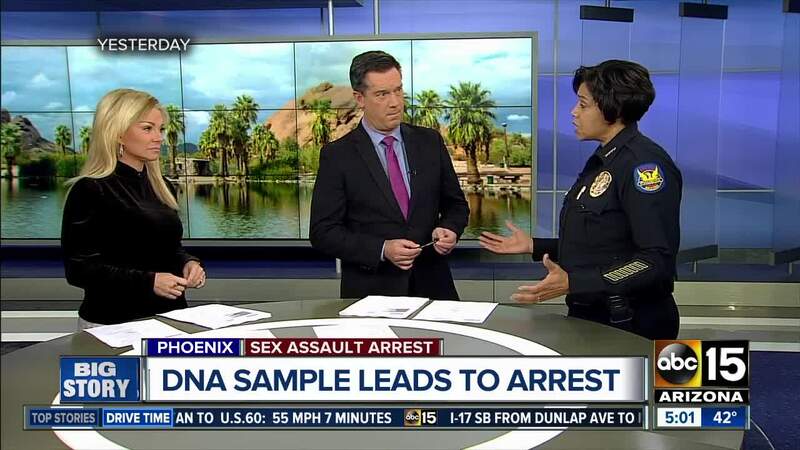 PHOENIX — Nathan Sutherland, the man arrested for the sexual assault and impregnation of an incapacitated woman, has voluntarily surrendered his nursing license, according to an online licensing database. 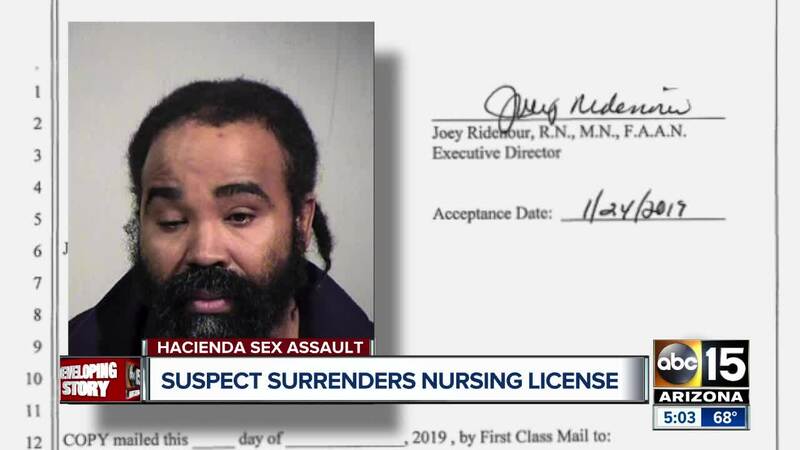 His surrender comes hours before a special meeting was scheduled Friday afternoon by the Arizona State Board of Nursing to vote on suspending his license. Nathan Sutherland was a licensed practical nurse at Hacienda Healthcare and was in charge of the wing where the 29-year-old victim was being treated. Sutherland has been arrested and charged with one count of sexual assault and one count of vulnerable adult abuse, according to court records. On Friday, the Arizona State Board of Nursing announced they are investigating if other nurses at the facility need to be held accountable. President Randy Quinn said that the board will take immediate action if evidence points to other nurses failing to act.